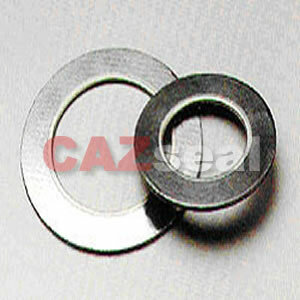 Specialized in manufacturing various metallic,semi-metallic,non-metaillc gaskets. 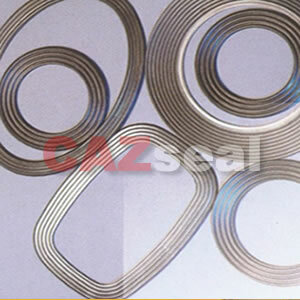 CAZ 600 Spiral-Wound gasket is formed of V-shaped metallic stripe and soft non-metallic filler by means of piled, spiral wound and connected its end and beginning by dot welded. 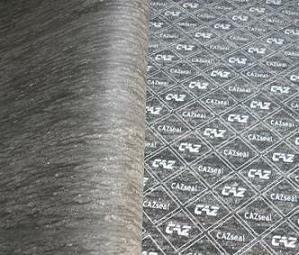 Depend on its excellent compression resilience it is suitable for sealing spots where the alteration of temperature and pressure are frequent. It can be used as the static sealing element of pipe, valve, pump, thermal exchange, condensing tower, plain hole and man hole of flange, etc. It has been widely applied in the fields of petrochemical, mechanical manufactory, power station, metallurgy, shipbuilding, medical and pharmaceutical nuclear power station and navigation, etc. 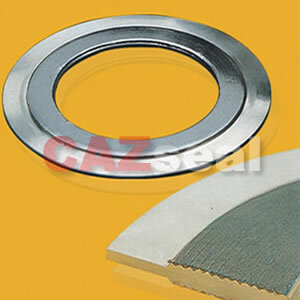 CAZ KammprofileTM Gasket (Serrated Metallic Gasket) consist of a metal core, generally stainless steel with concentric grooves on both sides. 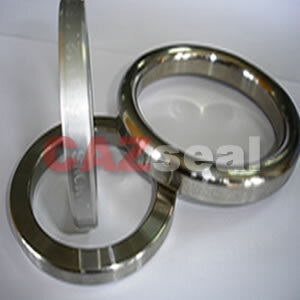 A sealing layer is usually applied on either side and depending on the service duty the material for this layer can be expanded graphite, PTFE, Asbestos free gasket sheeting materials or some soft metal. It can be used without sealing layers to provide an excellent sealing but there is a risk of flange surface damage especially at high seating pressure. 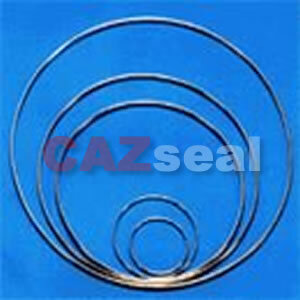 CAZ 630 Corrugated Metal Gasket consists of a metal core with concentric grooves on both sides, coated with expanded graphite or PTFE layer. The thickness of metal can be thinner, e.g. 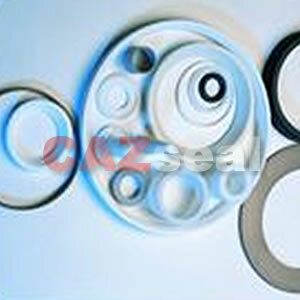 3mm, 2mm, 1mm, 0.5mm, compared with 620 Kammprofile gasket, and the corrugation pitch is 3mm, 4mm or 6mm depending on the width of the sealing face. 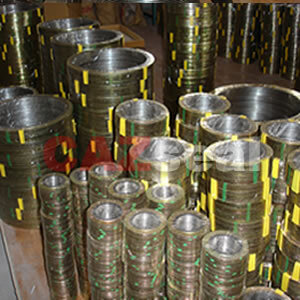 CAZ RJ640 is machined from solid metal in a variety of shapes and designed for high pressure, high temperature or highly corrosive applications by selecting the most suitable material and shape. It is designed to withstand exceptionally high assembly loads over a small area, thus producing high seating stresses. 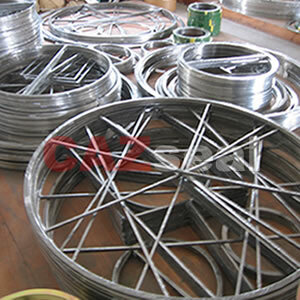 Metal O-ring is unique gasket made of metal tube which is formed and buttwelded into a round shape or other shapes.